Motorway Lessons Not feeling confident motorway lessons can help you. Motorway lessons are not part of the driving test. They cannot be covered during pre-test driving lessons as learner drivers are not permitted to drive on motorways. Driving on this type of road is very different to driving on “ordinary” roads. Taking professional tuition to ensure you know how to drive safely and considerately on motorways could quite literally save your life. Whether you have recently passed your driving test, have not driven for some time or are just plain nervous, taking some motorway training can be very beneficial. 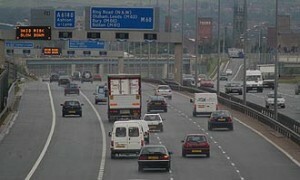 There are numerous differences between motorways and other roads. During our motorway lessons you will gain knowledge and experience of the different rules, regulations and signage that applies. You will cover planning your journey on the motorway, how to join and leave safely and how to maintain a safe speed in all circumstances. 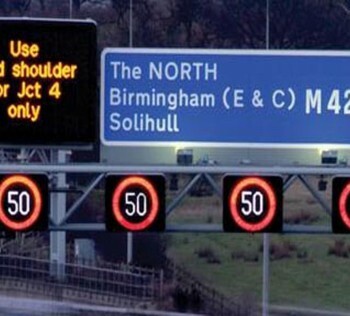 Also covered is taking effective observation, overtaking and lane discipline along with understanding the unique signs, signals and road markings you will find on the motorway. You’ll be taught the correct procedure in the event of your car breaking down, how to handle crosswinds and debris on the carriageway as well as the correct use of lights, dealing with fatigue and remaining courteous whilst driving. How much do motorway lessons cost? Motorway lessons are of a minimum two-hour duration and are charged at £28 per hour. We can provide motorway driving lessons to suit your individual needs and circumstances. Call us now on 07852500243 to discuss your requirements and we’ll be happy to tailor a course of motorway training for you.